The Emigration Trail Classic is a history-laden, 80.6-mile out-and-back route, including a 12-mile loop at the turnaround end. 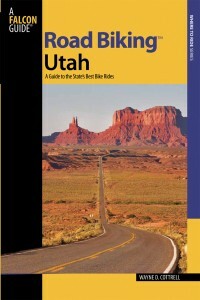 The ride starts in eastern Salt Lake City and incorporates all or a portion of Emigration Canyon, East Canyon, Main Canyon, the Emigration (Mormon Pioneer Memorial) Trail, the California Trail, and the Pony Express Trail. 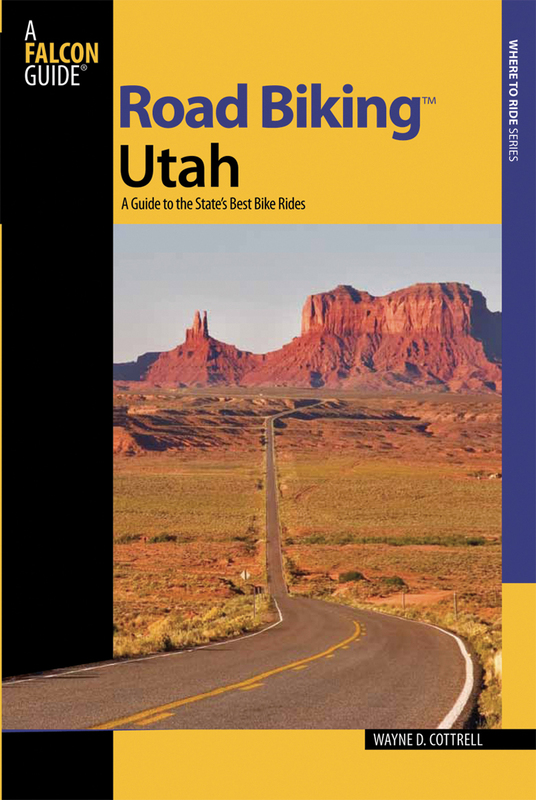 The ride visits three counties: Salt Lake, Summit, and Morgan. There are three summits: Little Mountain, Big Mountain, and Hogback. Three canyons, three trails, three counties, three summits. The elevation ranges from 4,920 feet at This is the Place State Park, to 7,420 feet at Big Mountain (Salt Lake Morgan County line). Start at This is the Place State Park, located at 2601 East Sunnyside Avenue in Salt Lake City. The park is just west of the mouth of Emigration Canyon, and across the street from Hogle Zoo. Emigration Canyon is legendary in the annals of Mormon history; it was through this canyon that the Mormon pioneers first caught sight of the Salt Lake Valley in 1847, declaring in unison This is the place! after their long journey from Nauvoo, Illinois. Actually, Brigham Young, the leader of the caravan, made the declaration, stating, This is the right place. Drive on. Also, the caravan could see the Salt Lake Valley from Big Mountain, about 15 miles northeast of the mouth of Emigration Canyon. This is the Place State Park pays homage to the pioneers, as well as to other explorers who journeyed down the same canyon before and after the Mormons historic trek, including Catholic missionaries from Spain, fur traders and trappers, and California-bound immigrants. The cover graphic from Wayne Cottrell's new book. Emigration Canyon is shared by the Mormon Pioneer, California National, and Pony Express National Historic Trails. Geologically, the canyon is one of several that drain the Wasatch Mountains into the delta of the former, massive Lake Bonneville. Jurassic Nugget sandstone, colored pink and tan, is quite common in the canyon. The sandstone has been harvested as an attractive and sturdy material for buildings in the Salt Lake City area. Jurassic limestone, used in the manufacture of cement, is found farther up the canyon (particularly in the Henefer area, near the turnaround point for this ride). The California National Historic Trail extends from Missouri to California. Some 250,000 persons traveled along this trail during the 1840s and 1850s, mostly forty-niners (gold seekers) and farmers in search of rich lands. It was the greatest mass migration in U.S. history. The Pony Express also barreled down this canyon during its short life from 1860 to 1861. Stations were spaced at 10-mile intervals. A rider would change to a fresh horse at each station; the intervals were chosen to allow the horses to travel at full gallop before fatiguing. The route was also used by the Donner-Reed Party, which preceded the Mormon Pioneer trek by about one year. The Donner-Reed group was headed for California from Missouri, but became snowbound in the Sierra Nevada during the 184647 winter. Exit This is the Place State Park at its far eastern end. Turn left onto Sunnyside Avenue, being ever watchful of motor vehicles, and head east. Enter Emigration Canyon at mile 0.1. There are bike lanes for several miles up the canyon. The Emigration Canyon climb is gradual, unlike the climbs of the other Wasatch Mountain canyons. Partly for this reason, the canyon is a popular route for local cyclists. Ruths Diner and Santa Fe Restaurant are on the right just 2 miles up the canyon. Watch for motor vehicles turning in and out of their parking lot. Continue climbing as the shoulder narrows at mile 3.7. At mile 6.1, the road makes a 180-degree bend to the right. Beyond this point, the climb gets noticeably steeper. After the bend, you are traveling in a southerly direction, enabling a wonderful view of the canyon and the Salt Lake Valley. The road bends 180 degrees to the left at mile 7.3. The crest of the climb (Little Mountain) comes at mile 7.9. The elevation is 6,227 feet here; there is a Mormon pioneer monument at the summit. The road enters the Wasatch-Cache National Forest. Begin the descent to Little Dell Reservoir. The descent is not steep, but there is a series of sharp curves starting at mile 8.5. Stop and turn left onto SR (State Route) 65 at mile 9.4. Little Dell Reservoir is on the right; restrooms are available at mile 9.9. There is a gate at mile 10.1-SR 65 is closed during the winter (November through March). Begin to climb gradually at mile 10.7. There is a trailhead, with restrooms, on the right at mile 11.6. The climb gets steeper here. Affleck Park is on the left at mile 12.3. The climbing gets serious at mile 13.3, as the highway enters a series of switchbacks. The forestation is also notable, as the highway ascends into an alpine environment. The highway crests at mile 15.5; enter Morgan County here. The elevation is 7,420 feet. There are a trailhead and restrooms on the right. Begin the descent toward East Canyon. The descent features a couple of sharp left-hand curves-be particularly cautious on the second one, as your speed will probably be high here. East Canyon Resort appears on the left at mile 21.8. This is an off-the-beaten-path facility located adjacent East Canyon Reservoir. There are a store and restrooms, as well as a restaurant. The lakeside elevation is 5,760 feet. The Big Rock Campground is on the left (restrooms) at mile 22.6. After a pleasant, winding stretch, SR 65 junctions with SR 66 at the north end of the reservoir. Stay to the right to remain on SR 65. The highway begins to climb from here toward Hogback Summit. The climb gets noticeably steeper just before the summit, which comes at mile 28.9 (elevation 6,240 feet). The highway enters Summit County. From here, the highway descends through Main Canyon, though some lovely pastoral settings. The town of Henefer lies just beyond the mouth of the canyon. Pass Henefer Road, on the left, at mile 34.0. This is the beginning of a counterclockwise loop; you will return to this point after covering 11.8 miles. Enter Henefer (elevation 5,333 feet) at mile 34.1. Henefer, first settled in 1859, had a population of 680 in 2008. The town is set in the picturesque and cozy Henefer Valley. The I-84 freeway runs just to the east, giving the town easy access to the more heavily urbanized areas to the west. Turn right onto Henefers Main Street at mile 34.6 and head southeast. The road curves left at mile 35.1, then crosses over the Weber River and I-84. Turn left onto East Henefer Road at mile 35.3. This narrow road curls its way toward Lost Creek Canyon, climbing and descending before cresting at mile 39.3. The road enters Morgan County here. The road curves sharply to the right at mile 39.7-watch your speed here. At mile 40.0, prepare to yield and turn left onto 1900 North (no street sign). You are now in the unincorporated community of Croydon. The community was settled in 1862 as Lost Creek. The name was eventually changed to Croydon because most of the settlers were from Croydon, England (a borough of London). The road bends left at mile 40.7. There was some pavement surface damage around mile 41.5, adjacent the large cement plant. The road curves sharply to the left at mile 41.8, just beyond a Weber River crossing. Things get busy here-there is a railroad underpass at mile 41.9, followed by an I-84 underpass at mile 42.0. Amidst all of the commotion, remember to look right (and up) to catch a glimpse of Devils Slide, an interesting geological formation. The slide is actually two parallel Jurassic limestone reefs set 20 feet apart. The reefs protrude up to 40 feet above the slopes of the cliff, thereby resembling a chute. The road curves left here; stay right to prepare for I-84 freeway entry. Stay to the right of the shoulder to avoid the rumble strip. Take the very next exit (Henefer); turn right onto Henefer Road at the end of the ramp. This road curves around the west side of Henefer Valley, along a pleasant, undulating, and quiet route. Turn right onto SR 65 at mile 45.8 to begin the return route. Now that you are heading back toward the Salt Lake Valley, you are retracing history along the same route used by Mormon pioneers, California-bound travelers, and the Pony Express. You may wish to envision yourself as a member of one of these groups (perhaps a Pony Express rider, charging through the canyons at full gallop?). The Dixie Hollow Pony Express Station was located along SR 66; you may be able to catch the marker along the road. Be sure to bear left at the junction at mile 53.3; that is, head toward the left side of the reservoir. East Canyon Reservoir will be on your right. After cresting Big Mountain, and then Little Mountain, the ride ends with an exhilarating descent down Emigration Canyon. An entrance to This is the Place State Park is on the right at mile 80.6. Turn right here to end the ride. Be sure to spend some time checking out the artifacts and history at the park. Hogle Zoo is directly across the street.